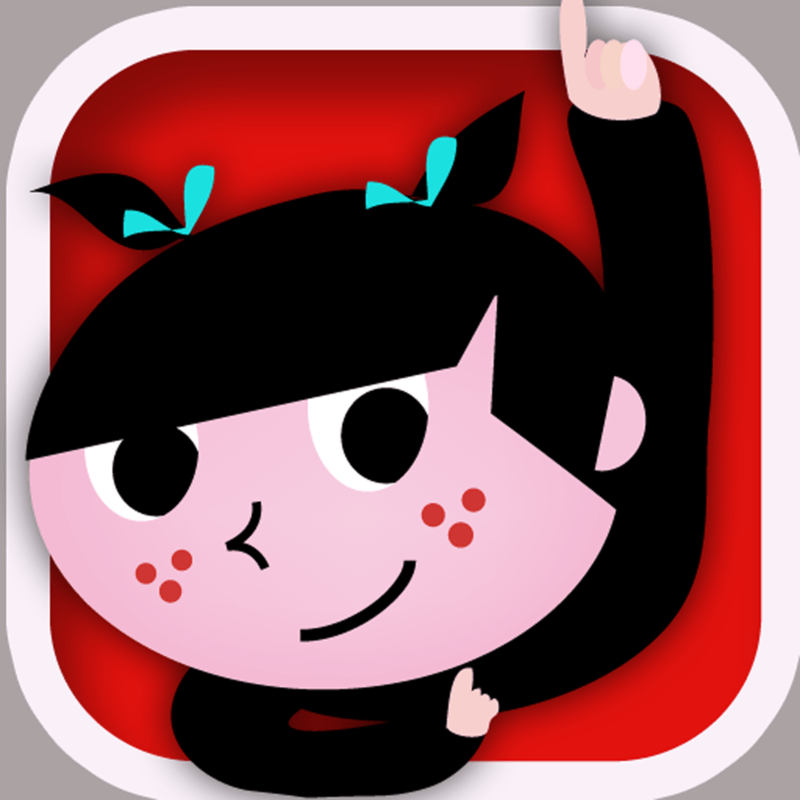 Educational app that stimulates language-learning in the youngest learners. With vibrant illustrations of the professions that give a modern feel to advertising images of the 50s and 60s. The characters and music, and the voices made by children, will delight our digital generation. Discover a fun way to help children begin to read and write, learn vocabulary in 6 languages, and feel at home with different writing: upper case, lower case, and cursive. This app features 5 user modes adapted to the age of the child. A plus for parents: advice from our professional experts in education and early childhood stimulation. 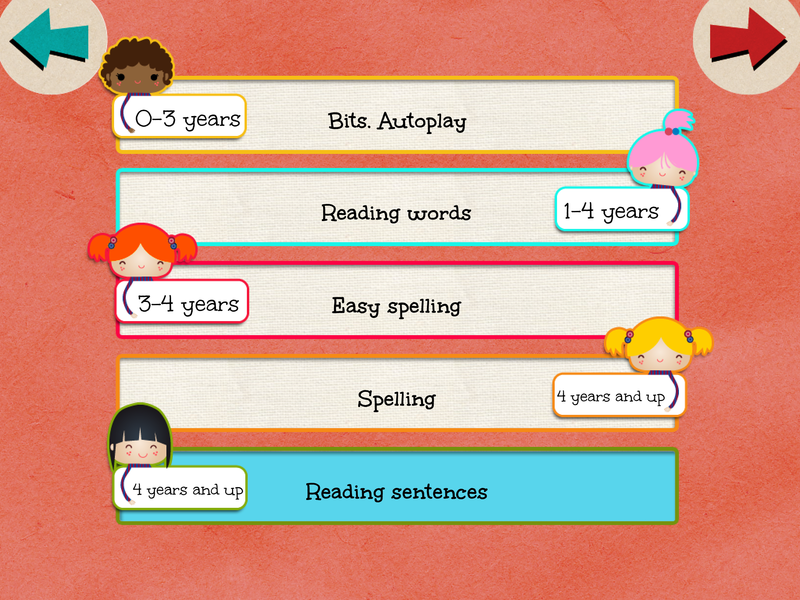 This application allows parents to choose the reading mode most appropriate for the age of their child. BITS mode. Autoplay: for children 0 – 3. •Images and text automatically change every 1.5 seconds. This method is geared to display visual images accompanied by audio content. The design is based on educational expert Glenn Doman’s theory of early childhood stimulation for development of the brain and neural connectivity. Reading words mode: for children 1-4. •Illustrations and text. Children learn through images. Each time they touch a word, they hear it spoken out loud. Easy spelling mode: for children 3-4. 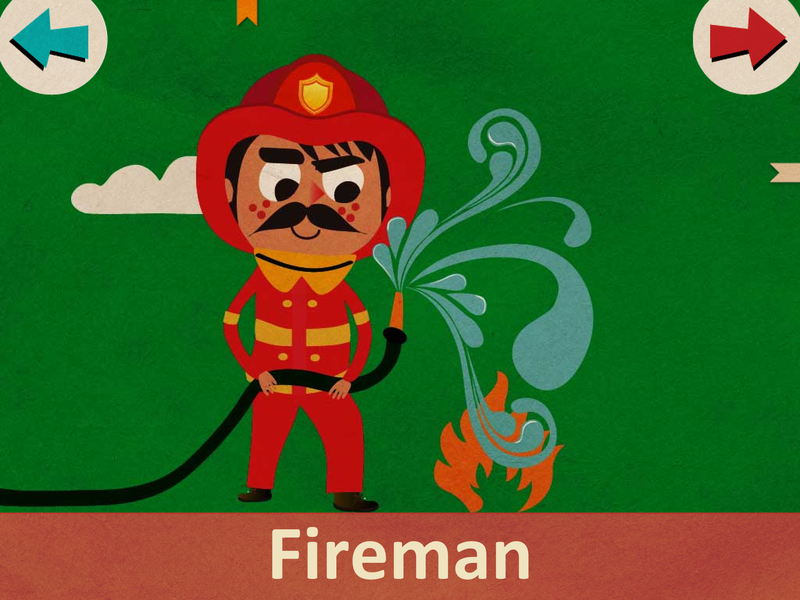 •A simple language game that functions as an educational tool. Spelling mode: for children 4 and up. •Advanced learner version of the easy spelling mode noted above. Sentence reading mode: for children 4 years and up. •Our characters demonstrate a few simple phrases that visualize children’s dream about different professions, with spoken word made by the children themselves in answer to the question: What would you do if you were..? ★ Would you like to find out how it looks and sounds in Chinese or another language? * Designed for children ages 0-5. * Original music and sound effects. * Narration in six languages: English, Spanish, Chinese, French, German and Catalan. 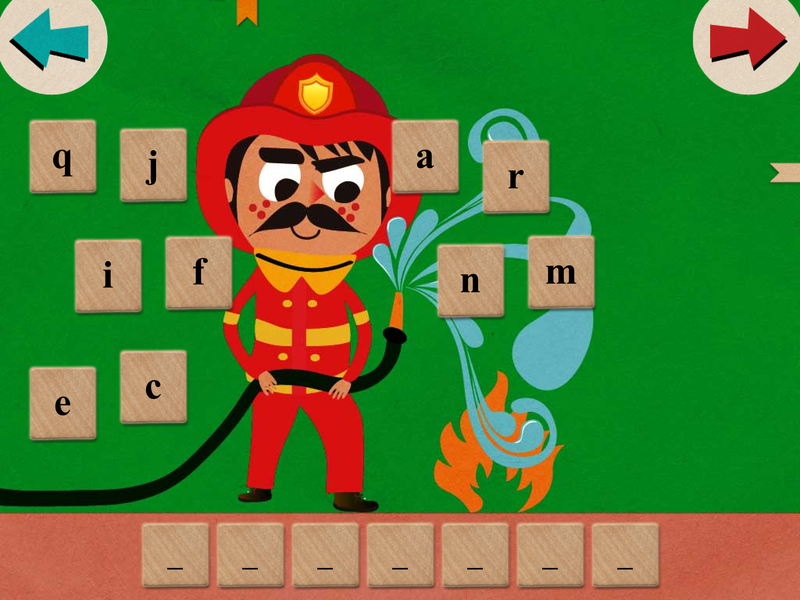 * Educational game that teaches children to form words. * Congratulates a child when he or she succeeds. * Option to read without the accompaniment of the audio element. * Menu access on every screen: On/Off music, home, language settings, change writing style. * Child protection against access to social networks and to Appstore. Sanoen is a new publishing house based in Barcelona, Spain. We specialize in adapting original children’s literature we’ve written ourselves into apps and digital books. As parents, we believe that children deserve to grow up with literature that’s both fun and intellectually stimulating. Our stories stimulate children’s imaginations and foster their development as readers and learners. Our inspiration springs from kids themselves – kids who want to know absolutely everything there is to know— digital natives who are completely at home with electronic media and communications technologies. Our apps feature interactive elements, surprises, and games, but their primary goal is to help kids learn to read. We started the vocabulary apps collection with “To the farm!”. Following the same pattern we created and launched another book-app a few months later. 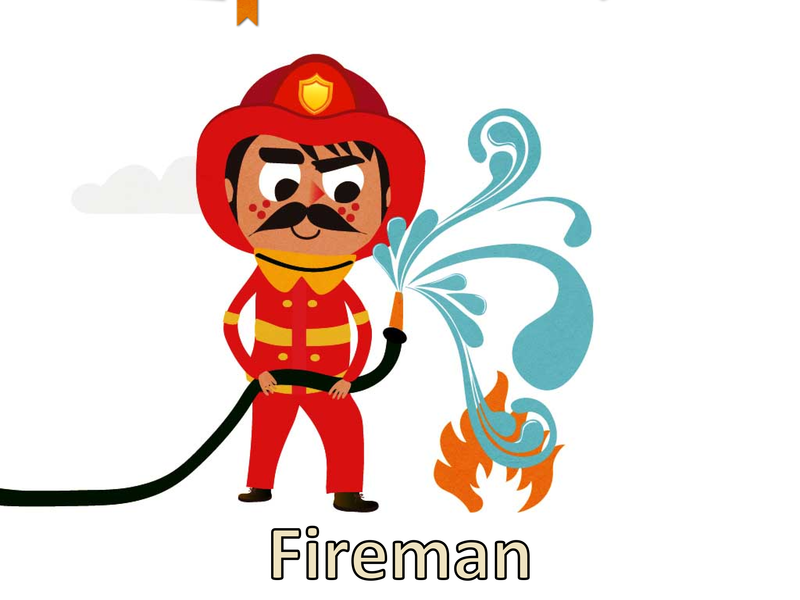 This time to show a selection of the different types of professions that the youngest children of our household dream about becoming. We are parents with a project and a great team of professionals that accompanies us on our path. We promote the importance of reading and believe that learning has to be enjoyable for the child. We are betting on digital books to offer new reading experiences. Our inspiration is the children themselves, those who want to know everything about everything. This app was launched the 28th of November 2012. It took s about 6 months, from when we had the idea to when the app was released. My favorite feature is the “try another language” element. This is the language button you can see on the right side of the screen. You can go through every screen and find this menu, which lets you switch into different languages to learn the several concepts (in Spanish, English, German, French, Catalan and Chinese). What is your favourite part of the app? My favourite part in the app is the one that appears each time you finish a mode. A child lying on his bed turns off the light and begins to dream of what he wants to be when he/she is older. Imagination, reading, writing, language skills and vocabulary development. In this collection of apps, one of the most important modes is the “Bits” one. It includes images and text (accompanied by audio content) that change automatically every 1.5 seconds. The design is based on educational expert Glenn Doman’s theory of early childhood stimulation for development of the brain and neural connectivity. From 0 up to 5 years old. We always listen to our user’s feedback, so if we discover something that we can improve, we try to update the app as soon as possible.